From an era of spanking and other physical forms of punishment to isolation and subtle social discrimination in the form of scolding or detention which makes students feel their deviant behaviors are nothing but a nuisance and cannot be changed no matter what they do, schools have turned to other methods to address misbehaving students. 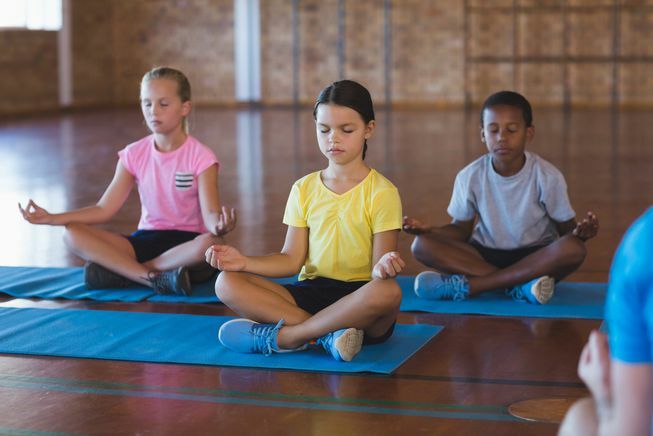 Instead of giving them a mouthful, sending them to stand outside the classroom, or bringing them to the principal’s office – methods that would usually reinforce humiliation or possible resentment toward their authority figures, or even confusion about why their actions are deemed inappropriate – there is a trend for schools to implement mindfulness programs and meditation as a way to redirect children’s energy to something more positive and enriching. At Robert W. Coleman Elementary School, the administration has effectively reduced the number of suspensions and detentions to zero using their “Mindful Moments” program. With this approach, students who exhibit “bad” behavior or actions considered against the rules would be sent to a room where they are taught to take a step back, sit down, relax, and meditate. In these mindfulness classes, teachers and administrators encourage their students to find their inner peace. Each student commits to an exercise called a “mindful moment” which is a 15-minute routine mixed with yoga and meditation. These routines are not just implemented for students who showed inappropriate behavior but they are actually being done twice a day. Basically what happens is that they engage in activities that would help them channel their frustrations, anger, and any other negative energy or excess energy by practicing how to breathe, relaxing their body through stretching which would remove all the tension stored in their muscles, and to focus and concentrate, not allowing any distractions into their minds. The idea for this program came from brothers Ali and Atman Smith, who both grew up from the rougher parts of Baltimore’s neighborhoods. Being accustomed in places where there is so much violence and drug abuse was so rampant, Ali Smith felt that there was too much burden and stress being heaped upon these children at a very early age and it wasn’t good for them. Due to all of the riots and violence happening around them, the brothers made it their personal mission to address this malaise pervading their community by taking it one step at a time and starting with the next generation who would be the ones to lead in the future. They see this as a way to nip the problem at its bud and change the situation in any way possible, no matter how big or small their actions may be. And sure enough, it is proving to be an effective means to transform society. Atman added that what they envision is for the children to have the capacity to resolve conflicts in a more positive manner. For them, it’s not about focusing on the past which could bring about resentment or worrying about the future which could make them anxious or uncertain. It’s all about the present which is what matters the most. Meanwhile, another nearby school, Patterson Park High was also doing something similar where they play a 15-minute recording of breath work and meditation. While this recording is being broadcast throughout the school, instructors went to the classrooms in order to model how the exercises worked or were done. They have also noticed a significant drop in suspensions and increased rates of attendance. These methods sure have been very effective in transforming and channeling students’ behavior and energy into something more positive and fruitful. It can definitely change these communities and reduce the number of incidents caused by violence. And perhaps if others would follow suit, it might just make our world a little more peaceful.